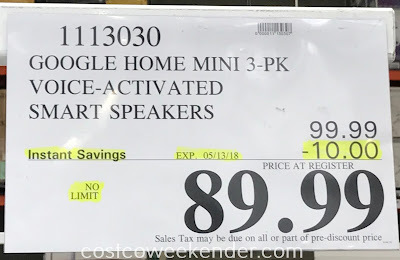 If you're interested in bringing your home into the 21st century, you can start by making your home into a smart home with Google Home Mini Voice Activated Smart Speakers from Costco. They come in a pack of 3, so you can outfit several rooms in your home with these bad boys. You can easily stream music, quickly get answers to questions, or adjust the inside temperature of your home in conjunction with other smart devices. 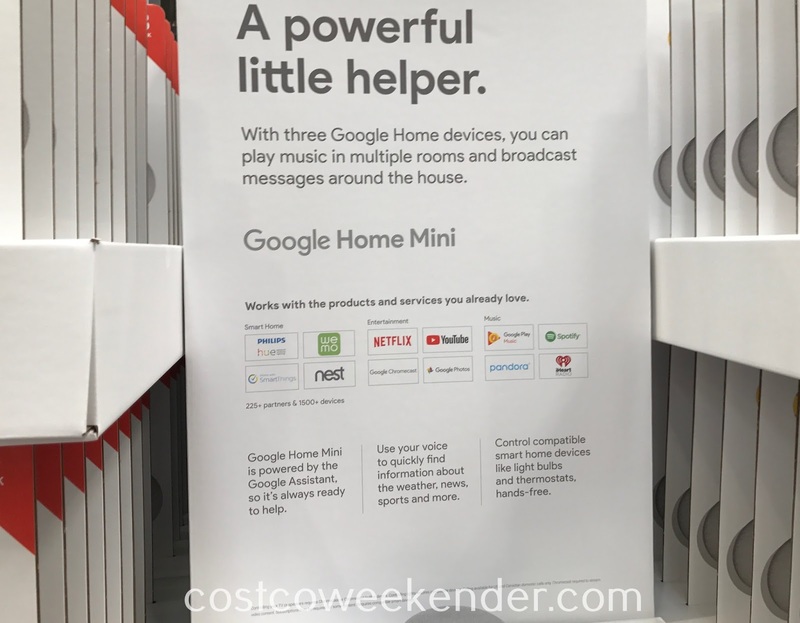 Google Home Mini easily takes voice commands as if you were on board the Enterprise or you lived where the Jetsons resided. 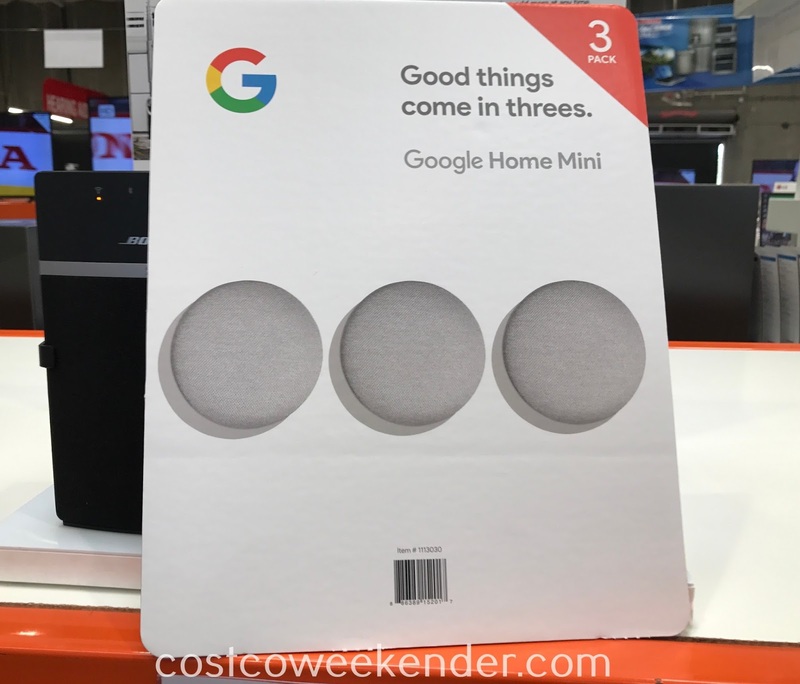 With three Google Home devices, you can play music in multiple rooms and broadcast messages around the house. Just start with "Hey Google..."
Get answers from Google: "How far away is the moon? ", "Will I need an umbrella today?" Manage your day: "Call Sam's Sushi House. ", "What is traffic like on my way to work?" 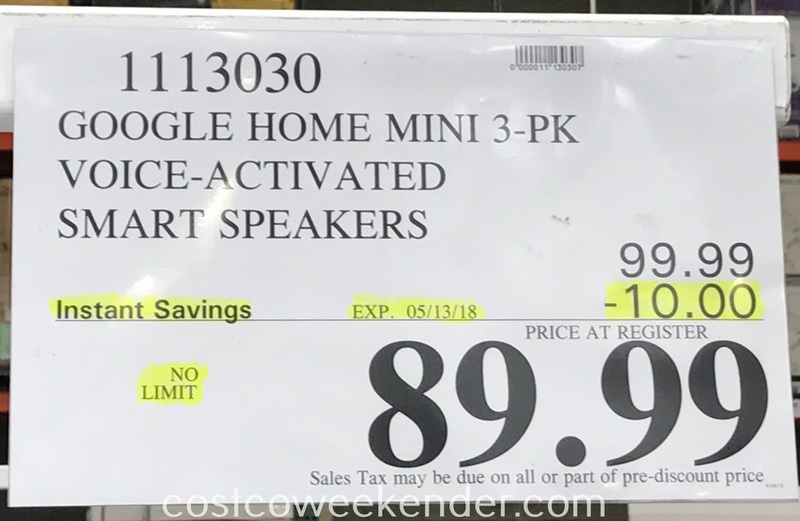 Do more together: "Play hip hop music on all speakers. ", "Broadcast 'It's dinner time.'" 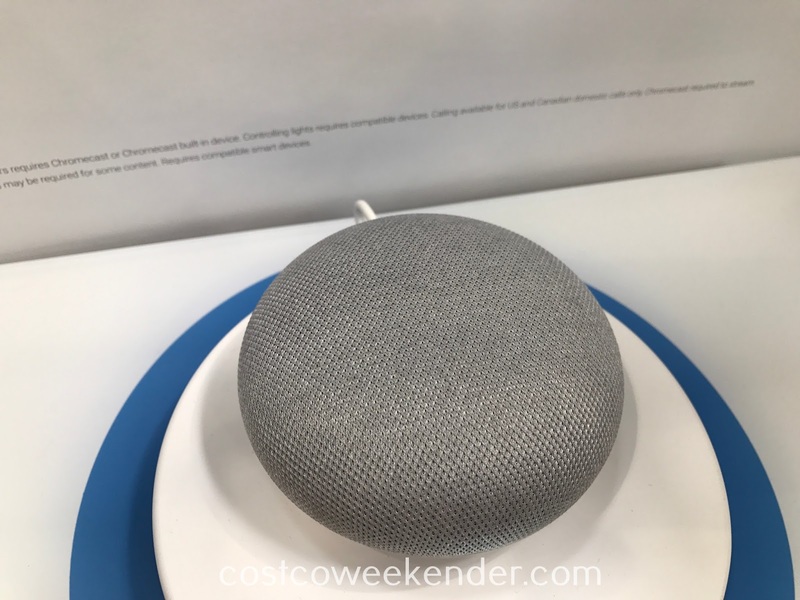 Control your smart home: "Turn off the bedroom lights."